We had a very successful years work for the missions, thanks to the grace and guidance of our patron, Christ in King, and of the prayers and generosity of our members and friends. We are happy to welcome four new members to our active members group and many new members to our Honorary Membership. Our Annual Sale of Work took place on 28th November 2014, it was well supported by our community. A most important date in our annual calender is fast approaching – The Christmas Sale of Work which takes place in the Heritage And Arts centre on Friday 27th November 2015. We also had a very successful Pub Quiz this year and our Display Day which took place April 19th. Our Display Day began with Concelebrated Mass, and the homily was given by Sr. Bridget, a Franciscan Missionary for Africa. Many of the Vestments and Sacred Vessels at the Display were sponsored by friends and supporters of Apostolic Work, for the Missions. Because of their generosity and that of the wider community we were able to give Vestments and Sacred Vessels to the Missions. It is with great regret we say good bye to Fr. Frankie as he left to take up his appointment in Drumshambo, Co. Leitrim. On behalf of Ferbane Apostolic Work, we thank God for his goodness to us. Apostolic Work was founded in Belfast in 1923 by Agnes McAuley to support missionaries in India with vestments, financial help and prayers. In those days members met to knit and sew but only a few branches continue to do this. We are now primarily a fund-raising organisation whose funds go directly to the missionaries in countries in the developing world. We have branches in over 60 parishes in the Diocese. We regularly support priests, nuns and brothers with funds for church based projects, such as education of seminarians and noviciates, cathechists, school children and adult learners, medical needs, feeding projects, clean water projects and self help programmes and supplying sacred vessels. Praying for our missionaries is a very supportive aspect of our work. The Dublin Diocese is under the patronage of His Grace, the Archbishop of Dublin, Most Reverend Diarmuid Martin. Apostolic Work helps the world wide missionary endeavour through prayer and provision of material aid (gifts/finance) to missionary priests, nuns and lay missionaries. In Dublin we have 13 branches; we supply mainly mass kits to the third world, especially where God is still to be discovered. The scope of our further activities are as outlined on page 4+5 of our Annual Report 2014. We have 60 volunteers who sew once a week all our vestments and altar linens in their sacristies or homes. To comply with the many other requests for assistance from foreign missionaries we badly need additional volunteers to help produce more mass kits which are in very high demand. Our head office is 36, Harrington Street, Dublin 8. We are there on Mondays only between 2-4 pm. Ms. Sheila Timmons.Our Lady of Dolours, Dolphin’s Barn, Dublin 8. Ms Aisling Guuckian.Our Lady of Perpetual Seccour, Foxrock, Dublin 18. Ms. Kathleen Lambe.Our Lady of Victories, Ballymun Road, Glasnevin North, Dublin 11. Ms. Nancy O’Connell. St. Pius X, College Drive, Terenure, Dublin 6W. Ms Minnie Murphy. Immaculate Conception of the B.V.M. and St. Killian, Clondalkan, Dublin 22. Ms. Maureen Hughes. The Nativity of the Blessed Virgin Mary, Chapelizod, Dublin 20. Ms. Mary Tancred. Sts. Mary and Peter, Árus Lorcán, Arklow. Ms. Mary Christal. St. Mary’s, Lucan Co. Dublin. Ms. Mary O’Reilly.St. Anthony’s, St. Lawrence Road, Clontarf, Dublin 3. Ms Maura Lynch.St. John the Evangelist, Ballinteer Ave. Dublin 16. Ms. Kathy Davey.St. Anne’s, Shankill, Co. Dublin. Mrs Mary O’Reilly, 25a The Stiles Road, Clontarf, Dublin 3. The Diocese of Kildare & Leighlin under the Patronage of Bishop Nulty have 13 guilds. Askea, Ballon, Clane, Clonmore, Graiguecullen, Kilclone, Monasterevin, Mountrath, Myshall, Naas, Rathdangan, Tullow, Tinryland. Clane guild hold the Presidency at this time. Meetings are held in March and October when members from all guilds come to Clane. They return finished work and collect cut out vestments. Date: Sunday June 16th 2019. Time: Mass will be celebrated at 12 noon followed by Display. 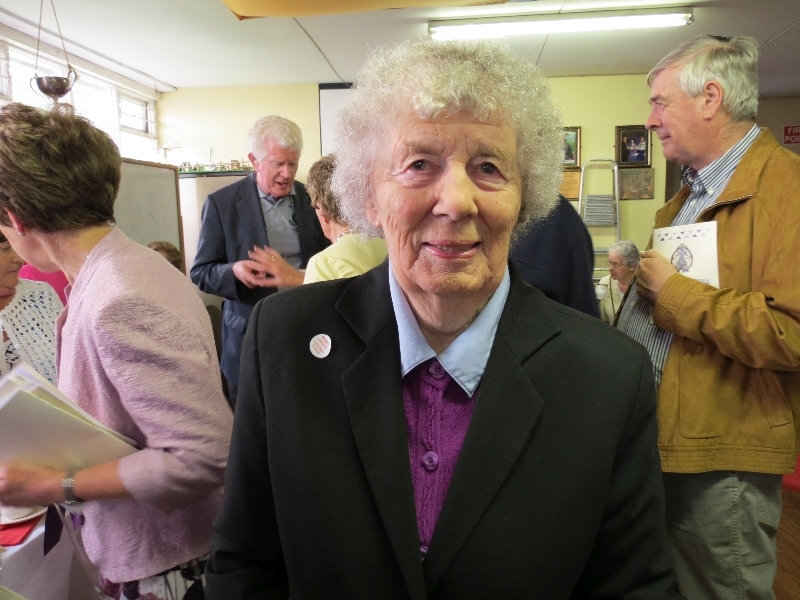 Apostolic Work in the Diocese of Killaloe was commenced by Mrs Evelyn Barron and her friend Mrs Barron who had come to live in Ennis from Armagh and was familiar with the work of the organization in 1955. The Ennis branch was designated as head office and all administrative work is carried out there. Diocesan Spiritual Directors have always been appointed and Fr Michael Casey of Cross hold the position at present. 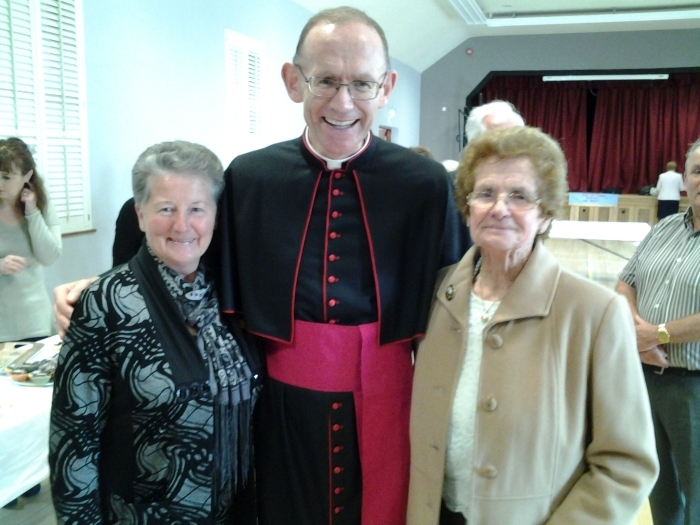 From the first branch in Ennis there are now over forty branches spread throughout the Diocese. Like all voluntary organisations its quite difficult to continue in the current times but due to the generosity of the active and honorary members it has been possible to continue and assist missionaries and lay people working in the developing world. The organisation in Killaloe believes strongly in the appointment of officers on a regular basis. The term of office is three years and this may be continued for a second term only. Following the first officers Mrs Nora O’Loughlin , Mrs Nita Enright, Mrs Maureen Sanders, Mrs Frances Keane, Mrs Mary Collins each made their own distinctive mark during their term of office. 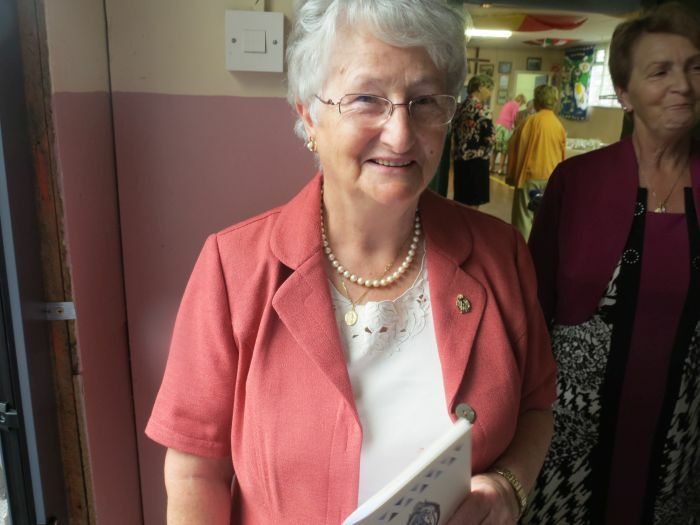 The current President is Mrs Mary Duggan. Fund raising events include sales of work, coffee mornings, church gate collections, raffles, Flag days. Many branches develop very innovative ideas in this area. Funds are spent in the purchase of materials for the production of church goods ,and in response to requests for aid. This includes Church Building, Education, Aid for Catechists, medical projects and other projects as requests. We are pleased that Apostolic Work in Killaloe continues to grow and look forward to the future with optimism. Kilmore Apostolic work is under the patronage of His Lordship Dr. Leo O Reilly, Bishop of Kilmore. Our spiritual Director is Fr. John McMahon. Our aim is to assist needy foreign missions by prayer and gifts in kind. We answer many requests for assistance from missionaries, through missionary priests, nuns and lay missionaries. This year as well as monetary assistance and sacred vessels we also provided 20 mass boxes which contain all necessary sacred vessels and vestments etc needed to celebrate Holy Mass and costs euro 365 each. They mostly went to Uganda and Nigeria. 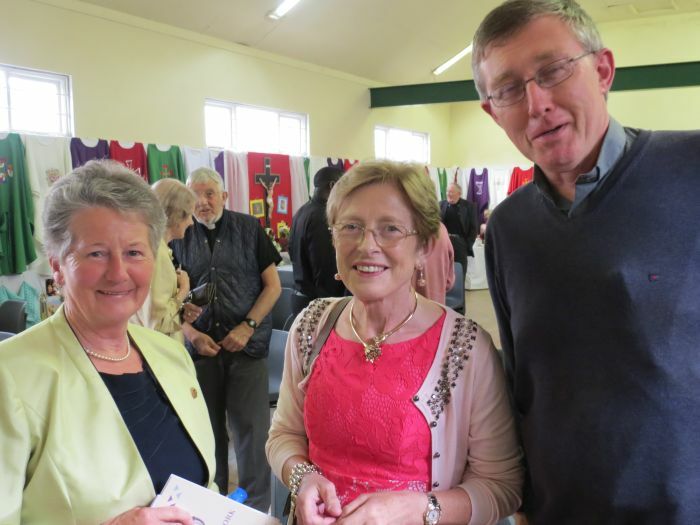 In Kilmore we have 19 branches, 9 branches sew all our vestments and altar linens in their own homes and also provide various forms of fundraising such as cake sales, plant sales, coffey mornings, Christmas wreaths, Christmas flowers, card games and a charity shop for 2 weeks each summer. All branches have church gate collections and some have small displays at that time. 2016 was another successful year for Kilmore Apostolic Work, thanks to all our active members, Honoury members and friends and many great supporters. This year, we welcome re-started branch in Swadlinbar and are at present re-starting Drumlane branch. New and Honoury members are always welcome to join us or start a branch in their parish through the guidance of the parish priest. 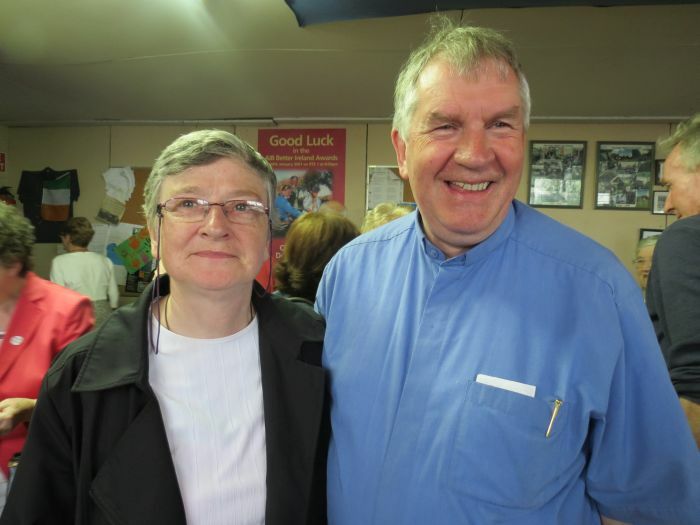 Diocesan Sectary Kathleen Leinster, 57 Highfield Rd, Cavan. 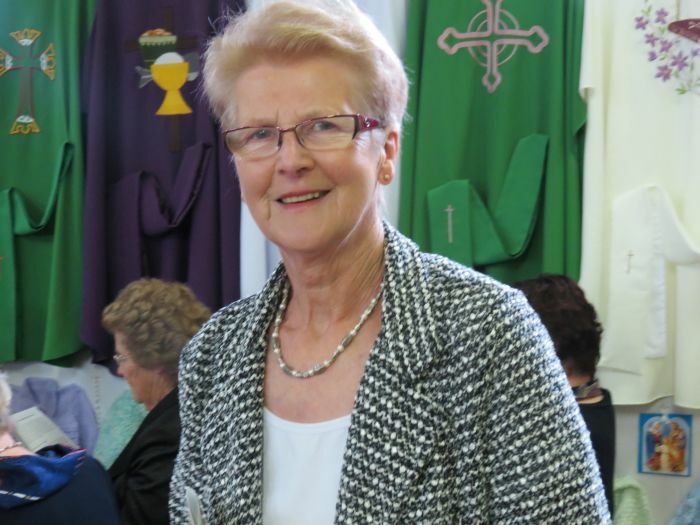 Diocesan Treasurer Ann O Hara, Church St, Ballinmore, Co. Leitrim. Ms Pattie McIntyre, Corrahole, Ballinmore, Co. Leitrim. Mrs T white, Glenfarne, Co Leitrim. Ann Prior, Furnaceland, Swadlinbar, Co Cavan.